The novel has a prologue and epilogue set some years in the future (enough for our hero to be an elder, wiser man), while the bulk of the plot takes place when he's a teenager. Rafi Delarua starts the novel in a school for gifted youngsters... no, not the X-Academy, sadly. He is suspected of having telepathic powers as his father has committed serious crimes using such powers. So the government has put him in a school that serves effectively as a quarantine institution. The school is there to find out what powers the kids have, and exploit / enhance / sequester them according to powers and character inclinations. Rafi has been keeping himself in check: that is enough to make the school suspicious, and they decide to "cap" him - apply a hat which effectively reads his emotional state and broadcasts it to someone monitoring him, to see if he's really a psycho in disguise. At the school, he has two friends: Serendipity and Ntenman. Serendipity is in love with Rafi. Ntenman is in love with her. And from such a fairly simple start, things get side tracked, and side tracked, and side tracked again. This is not a story of youngsters in a school: quite soon, Rafi and Ntenman escape, visiting first Rafi's family and then escaping to a different planet. Serendipity is more or less forgotten about for about 3/4 of the book, only to have a bit-part when events return to the planet the story started out on. The "capping" and the school are pretty much irrelevant by the time Rafi arrives on the new planet. There, two systems of credit operate simultaneously: "essential credit" (comparable to money) and "social credit" (like whuffie, but more complicated: it's not just social standing and influence, but also takes into account which people one is networked with). For a while, the novel mulls this different system and its effects, before moving on yet again to focus more on politics. The titular Galaxy Game is ambiguous. Perhaps it is the Wallrunning Game that so much of the book touches upon - some sport involving a vertical wall which has several different sections with different gravity properties. While Rafi gets to practice and train a little, the book never actually includes a game / contest of this sport. Perhaps it is the political game being played between different factions in the aftermath of the collapse of the Sadiri culture (the end of their planet was one of the main plot points of the previous novel). Strangely, the two games are connected - it's as if Quidditch turned out to hold the secret to fight Voldemort... except, of course, there is no real villain / antagonist in the book. The problem with The Galaxy Game is that it is scattered all over the place. The Best of All Possible Worlds was an episodic novel - each chapter was almost like an episode from Star Trek. (Meet culture. Observe culture. Have adventure. Move on.). It was also a much simpler story: following a genocide, a culture that values logic above all else is looking for a future. 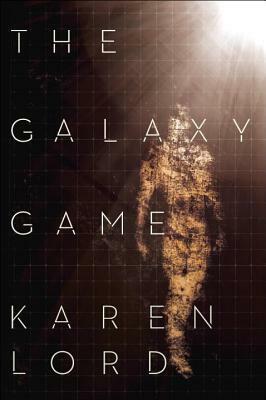 The Galaxy Game, on the other hand, is closer to being a novel about different factions vying for control of interplanetary travel when a monopoly collapses, (The Sadiri culture runs the mindships that make faster than light travel possible in this world), while teenagers grow up, and encounter a strange sport and different society on the way. As you can sense from that summary, it is a novel full of ideas which are not particularly interrelated. The Galaxy Game does not have much structure. At one point, Rafi comments about this and points out that he has not been planning his life properly, that he has basically fallen into a place, made friends, followed friends to go into a different place, made new friends, followed the new friends (leaving behind old ones) to go somewhere else - he's stumbling from event to event without having a clear direction. Similarly, the events stumble from one into another without feeling like they are particularly connected. They are all tied together in the end, but not very convincingly so. Arguably, that's authentic: real lives do not always have a simple plot / arc, and real events are often random and unstructured. 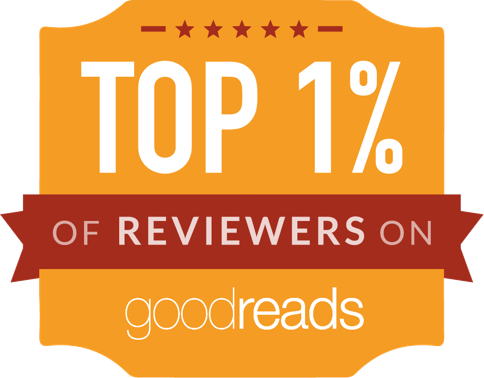 But it does not make for a very engrossing read. Much of the book plays with its fictional science about interstellar travel (it's inherently psi-powers based / telepathic). While that might be a pretty concept, it's a bit like reading a novel about different schools of magical theory, treated quite seriously. As someone who likes his SF more sciency, it felt a little frustrating to me. I'll still be reading every future book Karen Lord writes - the other novels of hers have won me over completely - but I must sadly admit that The Galaxy Game left me quite cold. Hmmm, that's not very promising. I had this as an ARC, but ended up getting it out of the library since I took so long about it... I must get round to it.